Everything Lego – Boymom Adventures! Anything Lego that we do goes here! I will post our creations from Summer Lego Club here after our first meet the first week in June. Possible Challenges for Summer Lego Club! First Lego Club was today! We were very excited about getting started this summer, here are a few of our creations from the challenge. Looking forward to next week! We are a day behind on Lego Club, but here it is! It’s a rainy day, perfect for staying inside this morning and building with Legos! The kids were excited about building their boats and testing to see if they float in a bucket of water! July 12th – Build a house with 2 windows, a door and 1 orange brick. Hi, I love reading your post!They are the best!! Well done. Every thing is Lego! 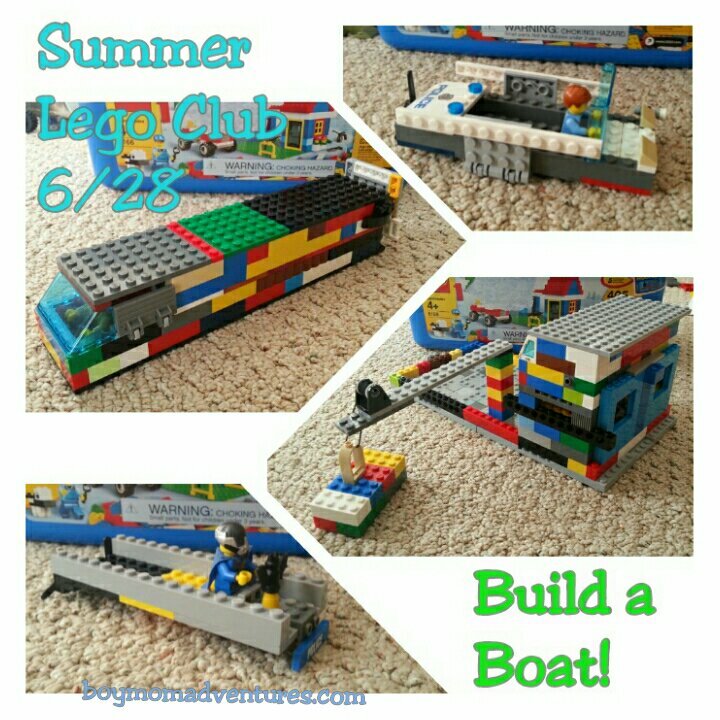 Summer Lego Club – Boymom Adventures!